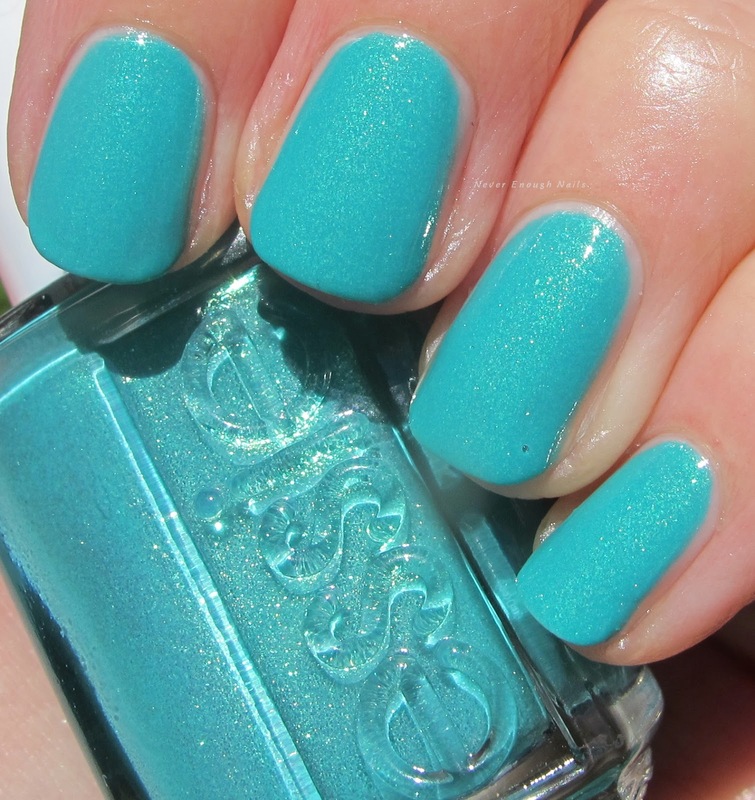 I have been eyeing Essie Viva Antigua since it came out and I just couldn't resist anymore!! This gorgeous tropical turquoise with slightly golden shimmer is perfect for summer days and my upcoming vacation to Florida. I will certainly be wearing this by the pool there! 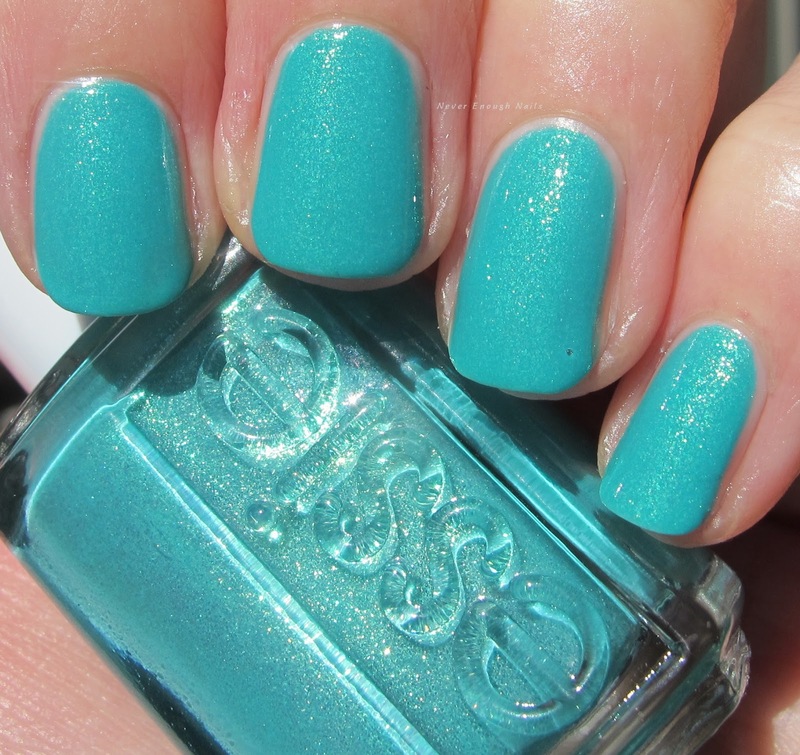 Viva Antigua is a really saturated bright turquoise. I feel like recently there have been a lot of washed out pale turquoise polishes, so it's nice to have this bright pop of turquoise. This is three thin coats. The application was good, you could most likely do two coats just fine. I am really not used to Essie's tiny brush anymore, so my first coat was a lot more sheer than it probably should have been. I am not sure where the bubble on my ring finger came from. I am hoping it's from my top coat, not the Essie, but the top coat hasn't been bubbling with any other polish, so I'm not sure. It was barely visible in real life though, so I just wore it as is! Fun fact- the Essie summer 2016 collection was inspired by Rebecca Minkoff's travels to Antigua. My favorite handbags just so happen to be RM, I have actually have a large collection of them! So I can sport my RM-inspired nails with my bags! I'm thinking I may also have to nab Tribal Text-styles from this collection too.